In this letter, O.J. 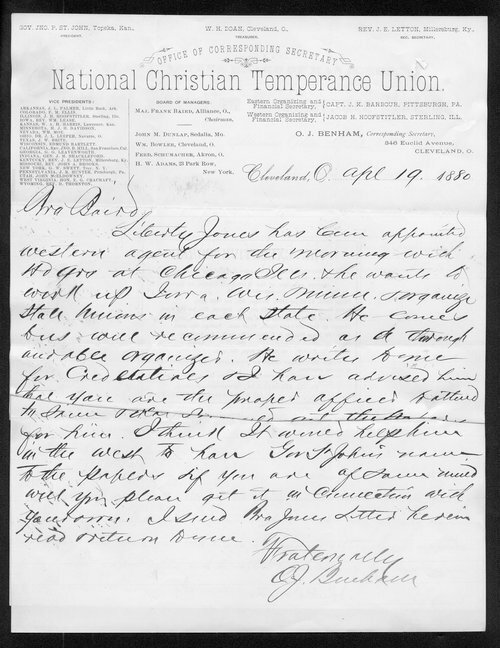 Benham of Cleveland, Ohio, informs a Mr. Baird (Chairman, National christian Temperance Union, N.C.T.U. )that Liberty Jones will work as an organizer in the west, and asks for his assistance in securing Kansas Governor St. John's endorsement of him.